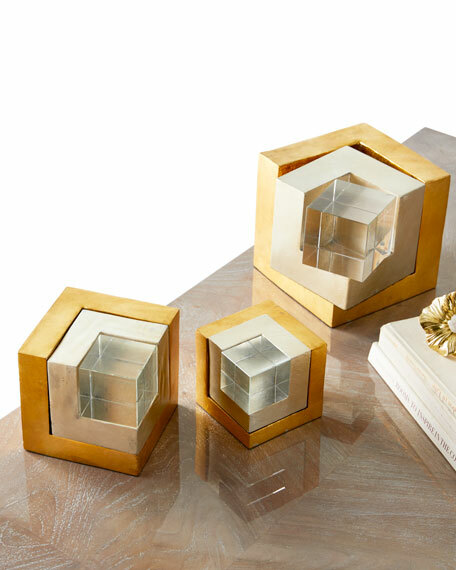 Handcrafted set of three cubes with each set cradling gold, silver and crystal pieces creating a whole cube. 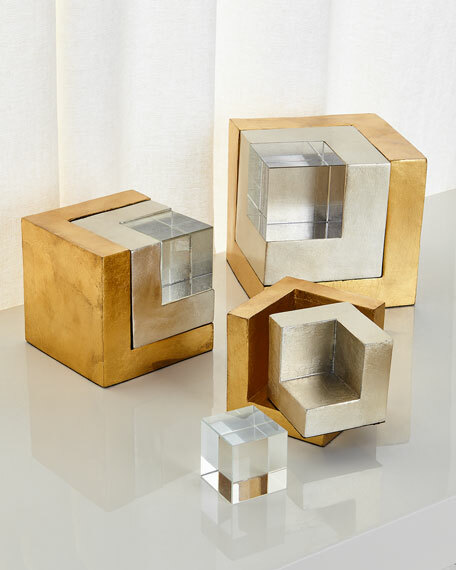 Ranging from 4.5"Sq. to 7.75"Sq. Resin composition and lead-free crystal.